Gravel boards are the protective barrier between the ground and your fence. It is always prudent to protect your fence panels by using gravel boards along with the fencing you buy. These help protect the fencing by adding height and thereby prevent direct contact of your fence panels with the ground, dirt, organic matter and moisture. Besides protection, these add a nice finish and extend the lifespan. Thus, in the long run, you end up saving you more time, money and resources. Versatile, pre-treated for external use, ideal for fencing projects. Gravel boards are protective barriers fitted between the fence and the ground. By adding more height between the fence and the ground, gravel barriers help to prevent elements that could potentially damage and weaken the fence. For instance, when the fence comes into direct contact with moisture, wet or damp ground for a long time it could start rotting. Insects from the ground could also attack the fence resulting in serious damage. Consequently, the damaged fence would need to be replaced. 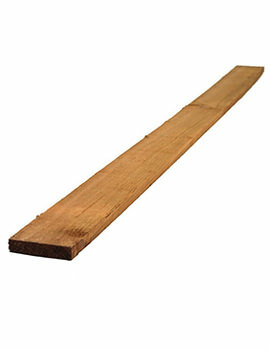 These boards are usually pressure treated to withstand moist grounds unlike fences. Therefore, gravel boards are a great tool to utilize so as to protect the fences. In addition to increasing the life span of the fence, gravel boards also add a stylish finish to the fence as well as saves on time and money. There is a wide range of these boards in the market. When buying gravel barriers, it is important to put into consideration some factors that could affect the suitability and effectiveness of the boards. First, gravel barriers or boards can either be wooden or concrete. The choice to buy either wooden or concrete depends on a number of factors, including the type of fencing and the individual’s preference. These boards are available in a variety of sizes. They also play a role in helping the fence, reach its standard height, thus it is important to consider the size of the gravel. In relation to resizing, gravel wooden boards are more desirable than gravel concrete boards as it is simple to resize them. Resizing gravel concrete boards is more involving and messier. Gravel concrete boards are considered more long lasting and easy to maintain compared to other gravel barriers. For the gravel wooden boards to last, it is important to ensure that all the boards are pressure treated with a preservative. This will also facilitate its function of being a protective barrier. 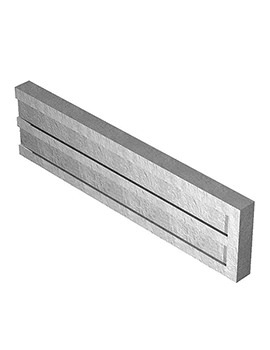 If one is fixing a fence between concrete posts, then concrete boards would be perfect as they easily slide into the grooves in the concrete post. For individuals looking to add a stylish finish in addition to protecting the fence, it is advisable to choose gravel board design and colors that help you give the fencing a stylish look. The gravel boards are available at various costs, giving plenty of options that are within your budget. 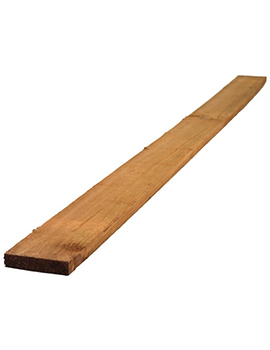 At Buildworld, we have a huge selection of wooden gravel boards that are pressure treated and quite easy to install. 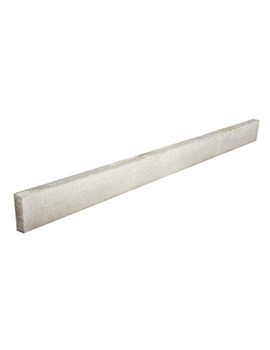 We also stock Concrete Gravel Boards that are for use between two fence posts as a "kick" board at the bottom of your fence panel. They are not usually used as the fence as they don’t have a pleasing look. Strong, sturdy and can be easily decorative to create a desirable finish.